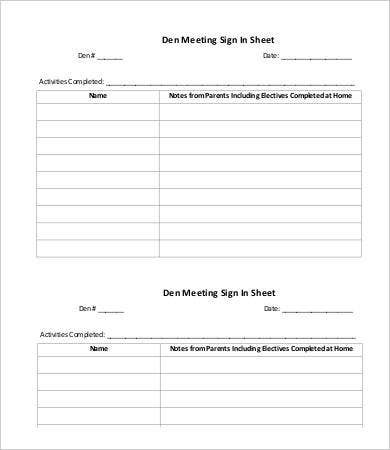 A Sign-In Sheet is useful for keeping attendance of a meeting or event. Perhaps you just want to make sure everyone is accounted for, for documentation purposes. 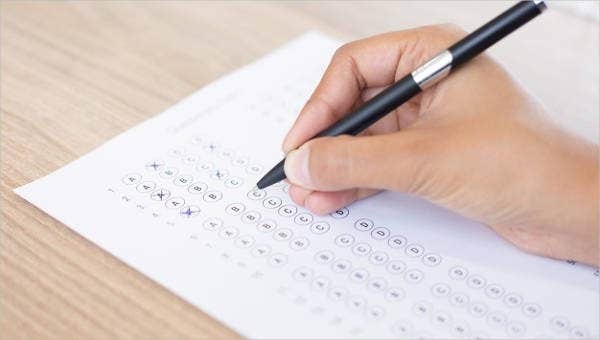 In the case of some institutions, non-participation and non-attendance is sufficient grounds to forfeit membership, and you will need paper evidence of this. 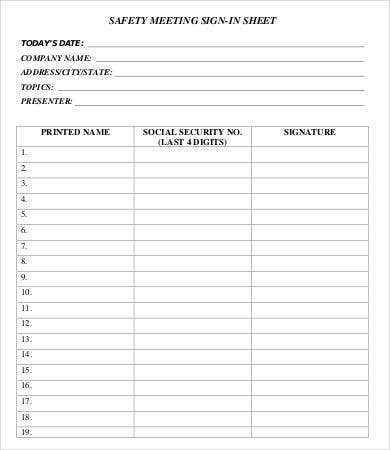 Whatever your reason for keeping one, you can find a sign-in sheet template from this list for your purposes. 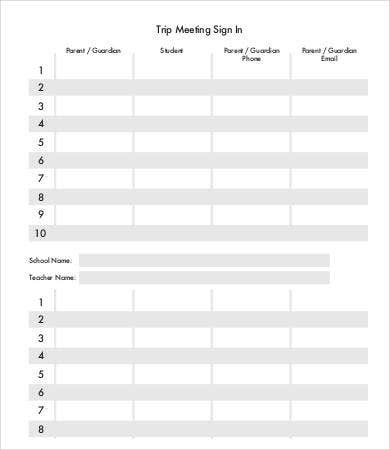 A sign-in sheet is a very simple tool that’s really easy to make. It’s so simple you don’t have to make one at all. 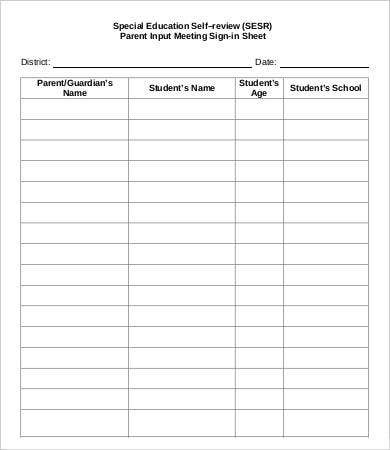 Just browse this list and download the template that you know you can use immediately, either for routine meetings or for an important one-time gathering. When Will I Need Sign-In Sheets? 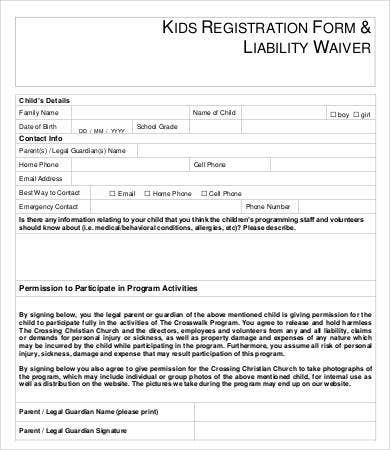 An Event Sign-In Sheet will often have space for names and contact details of every participant who signed up for the event. Using such a sheet, people can be reached out to after the event for any follow-up announcements. 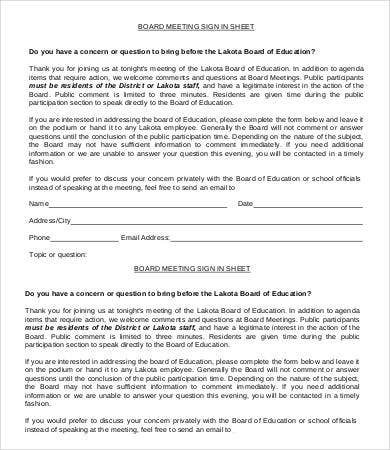 See School Board Meeting Sign In Sheet and the Den Meeting Sign In Sheet for just two of many examples. These are especially useful for organizations with more members than you can keep track of by eye. hotels, motels, and bed-and-breakfast setups. 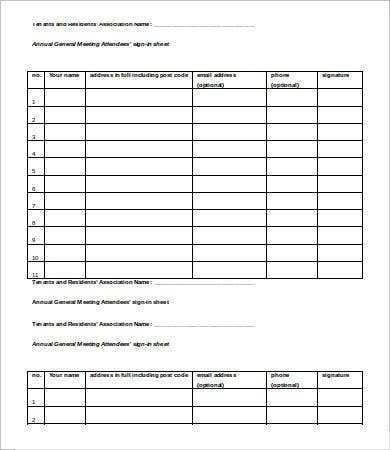 Which Sign-In Sheet Do I Use? 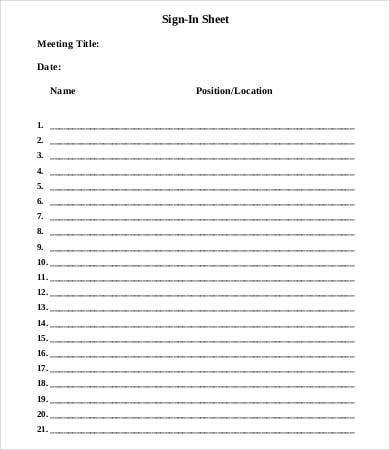 Each Sign-Up Sheet on the list already comes prepared with its purpose built into the layout. This is to make it easier for you to pick and choose without much modification necessary before having to print them out. 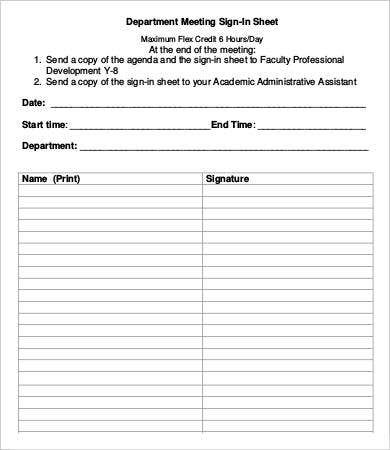 A lot of institutions calling mandatory meetings of staff or club members don’t even bother with an official sign-in sheet template. They instead pass around a piece of scrap paper for everyone to write their names on. For one-time, less significant events, this might do. 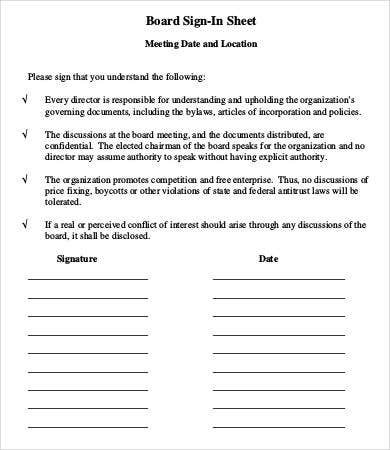 But for any other purpose stated above, and especially for routine meetings, a proper sign-in template will go a long way to streamlining all the logistics when it comes time to make use of the data.